ModuLED extension set for system extension and more light output. Operation possible only in combination with the ModuLED basic set. 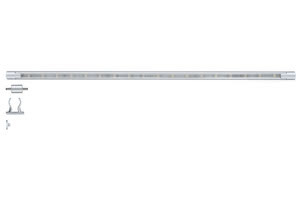 The LED tube is easy to mount thanks to the plug-in system and fastening clips. The basic set can be extended up to 3В m (8 tubes).